Direct response copywriting has the opposite mission of the advertising copywriting seen on television. TV ad copywriters want consumers to remember their product and hopefully make a purchase in the future, while direct mail copywriting focuses on the immediate moment. This style of writing aims to inspire the buyer to take immediate action, such as making a purchase, signing up for a newsletter, downloading a free product, or following you on social media, as soon as they’re finished reading. But how can you create a message that targets buyers? You must create copy that appeals to your readers’ emotions, addresses their worries, resolves their fears, or meets their immediate needs. Observe your competitors to find out who they are targeting and why. Compare this audience to your own. The good news about direct mail is you can take your time. You don’t need to cram all of your information onto a tiny business card to get your prospect interested. In fact, more direct response copywriting is long-form because it is more persuasive. You need to give your reader enough information to convince them to take action, but be careful not to simply use up the space because you have it. Everything you write needs to be useful, informative, and persuasive to help your customer make a purchase. For you to get the results you want, your copywriting must stay relevant to the audience. Your message may lead to a benefit for you, but it is really about the customer. Talking about how great your business is won’t take you very far. Many well-meaning businesses make this mistake time and time again; making their copy about themselves, rather than the customer. Once you have a clear understanding of your target audience, direct your message towards them, using “you” to keep your focus clear. Let’s say you spend all your time writing the perfect, catchy message for your reader. What’s next? Your call to action (CTA) is the next important step. Without this, your readers will never become customers because they won’t know how to respond to your message. Your CTA should convince your reader to act right away. It should empower them to realize they have the opportunity to make a decision that could change their situation. Ensure your CTA is actionable, concrete, and persuasive, and that you provide your contact information, social media, or web site to follow through. If you want to learn more about direct response copywriting, or where you can get targeted mailing lists to help you find your audience, a marketing agency can help you. While you focus on learning about your audience, developing good headlines, simplifying and directing your long-form content, keeping your copy customer-focused, and writing an irresistible CTA, your agent can help you set up your direct mail campaign. With over 30 years of experience, Macromark has grown to become one of the leaders in the direct mail industry. We help our clients target consumers with precision through our comprehensive list offerings and work with clients on placing effective ads. We can help you stand out from your competitors and engage readers, to grow your customer base and inspire them to visit your store or web site. 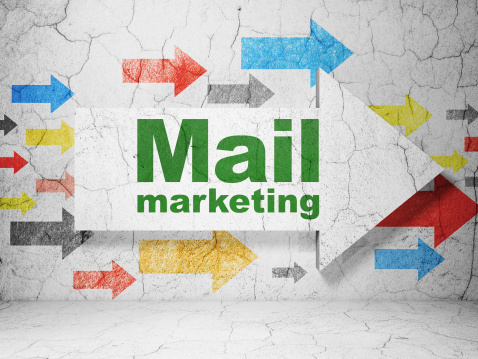 If you are looking for a company to help lead your next direct mail marketing campaign, we’re the team you need. Our services also include print media, direct mail marketing, list brokerage, data solutions, list fulfillment, and list management. For more information about how we can help grow your business, contact us at 1-(845)-230-6300.